Sweet, wild and talented. My three words to describe Jasmin. She invited me to come over her atelier in Prenzlauerberg. The atelier is really nice and comfy and I got the change to see some work in progress creations. Once that this week it’s time again for the great Pinky’s Peepshow, I thought that it was a nice idea to present to you one of the most charismatic personalities from the show : jasminthestrange. Learn more about her and pay her a visit on next Wednesday at Bassy Club. Here is part I from our conversation! Vintage Berlin Guide: Were you from? How where you’re early days? 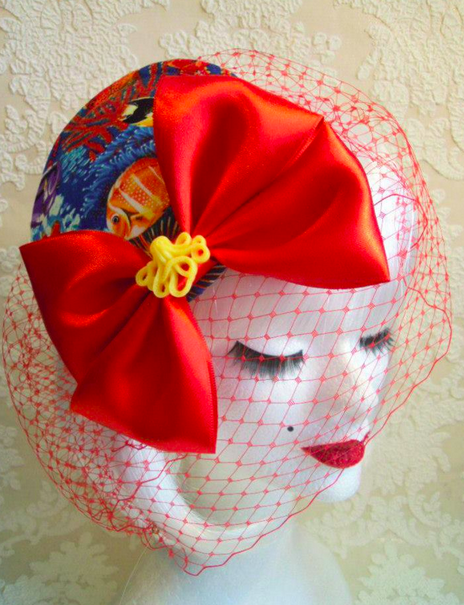 VBG: Where you always interested in hats and fascinators? My grandma was a milliner back in 1939. 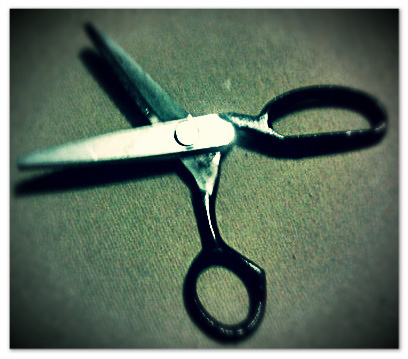 I still have her scissor. JTS: I should say yes, right?! No. I was always interested in doing creative things when I was young, but it didn’t started with fascinators or accessories. From the time I was a child until I was a teenager I was into drawing. But unfortunately I’m not a good drawer, even if I tried hard for years. So I moved on and started to colouring silk. This was my first experience with fabric. My mother used to sew up my dresses and then make the same ones to my doll. I received this doll once at Christmas and since then we were always matching. That woke up my sewing curiosity and we start sewing some cloth headbands, very 80’s style ones. I tried as well ceramics. Well… I always tried out different creative things and searched for the right path. The make-up though started a bit earlier. I was doing my friends make-up all the time. This was what lead me to the make-up artist direction. This is actually my “real” profession, the one that I had studied. In school we had for one year different subjects: costume design, stage design and make-up. By this time my favourite subject was make-up. That is a shame, cause my grandma was a milliner back in 1939 and had her basement full of fabrics and buttons. I had no chance to learn from her. I only discover this passion later on, after moving from my parents city. But I still have her scissor. VBG: So you can say that working with your hands to make the others beautiful runs in the family blood? JTS: Yes, I guess. My grandma, thank god she is still alive, unfortunately can’t sew anymore. Now she explains some techniques to me by phone or when I visit her. She gave all her materials to me. This is one of the reasons that I have so many vintage fabric to work with. VBG: When did you sell your first pieces? JTS: It was when I was in school. From 2005 on I attend a costume design school. I was practising a lot. I was sewing my own and my friends clothes. And even if I was giving some clothes I still had so many things that I had to start selling them. This was when I open my first DaWanda shop in 2008. VBG: When did your passion for hats started? JTS: It was around this time too. 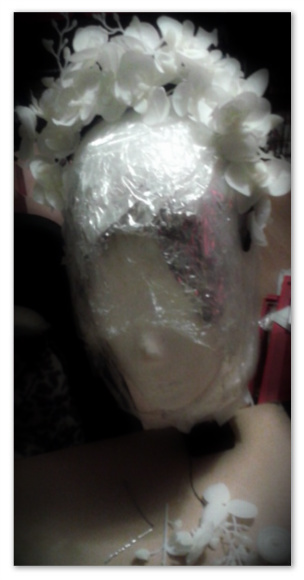 After this course of costume design I specialized in make-up. And then all started here. I had an idea for a photo shooting and I was desperate! When I do something creative I have a picture in my mind that I like to convey to reality. By this time I was not able to find the accessories that I wanted to include on the shooting and this made me really desperate. This was the main reason that I started to do accessorize. To be able to materialise my ideas. VBG: To whom did you design your first hat? JTS: To Eden. She was my model for the exam of the make-up school. I picked up the subject death. The basic idea was a beautiful women that come from the Opera and hand up being murdered after at her house. VBG: Cool idea! When did it started to be only about hat? JTS: It started around 2009 or 2010. I don’t remember that well. The hats were more at the background. Cause I couldn’t take all my time only for hats. Now I see that I needed all this time to make them properly and to transform this background activity in my main business. So it toke me until February 2011 to start focusing only on the hats. VBG: And why did you felt that necessity? JTS: I want to be free! As a make-up artists you’re never completely free. With the hats I am completely free. I can create what ever I want to! I have a dress that goes perfect with this one!